Level dependent function for ambient sound ensure you are not isolated from your immediate surroundings, but can still hear alarms, unexpected sounds and calls for help. 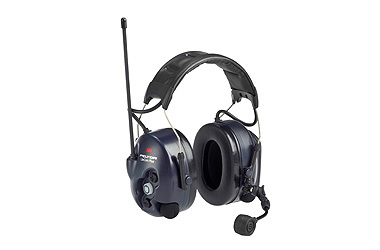 Aimed for High Attenuation Headsets, High Attenuation Listen Only Headsets, LiteCom, LiteCom Plus, Tactical XP, Workstyle and Alert. Wind Protection for extreme use, for dynamic microphones. Wind Protection for: Alert, LiteCom Plus, ProTac II, Sound Trap. 230 V DC to USB adapter 5V. Incl. adapters for UK, EU, US, AU. Charged with cable AL2AI connected to a FR08 (power supply). Can also be charged from any USB port. Via power supply FR08 : approx. 4 hours. Via USB port: depends on capacity of the power supply. Can be charged via an USB-port or connected to a FR08 (power supply).